Guy Harvey limited edition "Blue Moon" giclée hand signed and numbered (19/200). Giclée is a printmaking method in which ink is sprayed on to paper or canvas using continuous tone technology, which allows us to retain all the fine detail of Guy’s original art. 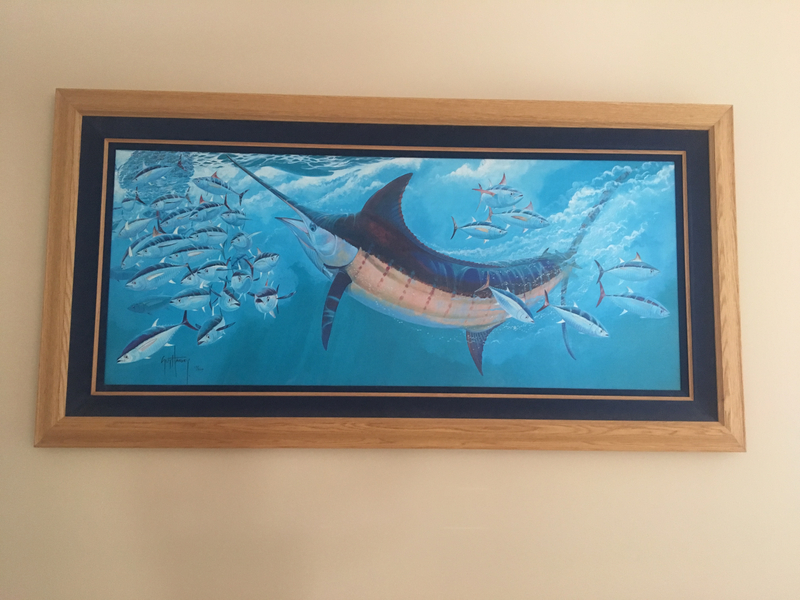 The 'Blue Moon' giclée features a blue marlin chasing yellowfin tuna in a stunning offshore setting. It is professionally framed with a high quality double matted finish.